Once considered vandalism, street art has developed into it’s own genre of Art, commenting on society and featuring incredible artistic skill. Street Art has it’s roots in graffiti. Considered ugly, yet always colourful, graffiti began as simple name ‘tagging’ placed in locations that are publicly visible. Since it is usually illegal, graffiti is made quickly with weatherproof paints and lacks any real skill. However, in the last two decades graffiti started to take on political and social issues as subject matter, changing its function from name tagging to social commentary, allowing it to evolve into a legitimate form of Art. Artists such as Banksy (infamous for self destructing his own image) contributed immensely to the development and acceptance of the artform. His images are renowned for cutting wit and satire while executed on sometimes huge scales. 'Planting Seed' © Naida Ginnane 2018, Nikon D800 105mm lens 1/800, f/7.1, ISO 100. First thing, usually you will find pieces outdoors on the sides of buildings, in tunnels or arcades. In fact most trendy cities have dedicated spaces to encourage the art. These locations may mean you are working with large scale in tight spaces, so it may not be possible to capture the whole image. Instead, look for interesting details or crop your frame to create a more abstract look. 'Yellow Star' © Naida Ginnane 2016 Nikon D800 24-70mm lens, 1/60, f/5.6, ISO 200. Secondly, street art often incorporates contextual elements in its design. For example, a figure leaning on an existing door frame. I think its a good idea to include contextual elements in your image, after all, they are unique to this style of art. 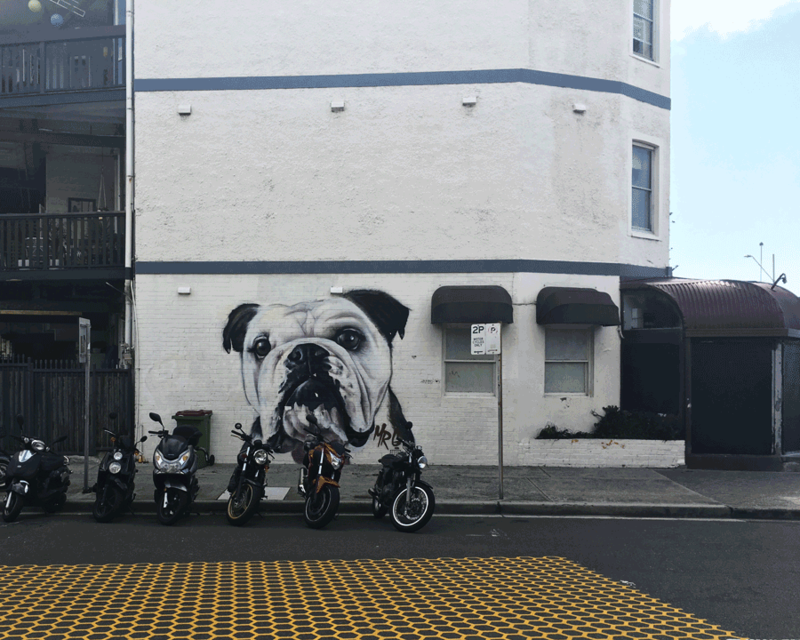 Since most street art is found on flat surfaces, composition is an important consideration. One approach is to get up close and crop- as previously mentioned, however, try to mix it up a bit with different ideas. For example, street art is in the streets so why not include some people interacting with it or even, ignoring the image. Other contextual information like footpaths, adjacent buildings etc would add an extra layer of meaning to your image. Using angles that create depth of field, blur, or perspective distortion are other creative ways to enhance your interpretation of the scene. 'Spray paint' © Naida Ginnane 2017 Nikon D800 24-70mm lens, 1/30, f/9.0, ISO 400. If the piece is quite large try to move back to capture as much as you can. In tight spaces an angled shot showing perspective and blur, or a cropped detail. Try to include contextual details, like people, footpaths etc in the shot to add extra layers of meaning. Play detective and try to interpret a possible meaning from the image. Use clues in patterns, cultural symbols etc and ask yourself, Why did the artist choose them? What are they saying? Time to get out into your neighbourhood and see what the artists have been up to?